Newark Ohio Tow Truck Insurance – Call Now! If you happen to be searching for Tow Truck Insurance in Newark Ohio and the nearby areas your search is over! Pathway Insurance is a leading independent insurance agency in Ohio, and because we are an independent agency we have the tools and knowledge to help business owners like you find the coverage and rates they need on Tow Truck Insurance in Ohio. Call us today at 1-800-998-0662 to speak with one of our licensed agents. We are available to answer any and all questions you may have about your insurance needs. Tow Truck Insurance Newark Ohio – Exclusions of Coverage. In keeping with our theme, this week’s article will once again focus on exclusions of coverage. To refresh your memory, exclusions of coverage are specific situations pointed out in the language of an insurance policy for which coverage would not be approved by the insurance company. And because we can’t stress this enough, we’d like to state yet again that the best advice we can give when it comes to exclusions of coverage is to read your policy very carefully! It really is the most effective way to fully understand what is, and even more importantly what is not covered on your Ohio Tow Truck Insurance policy so that you aren’t caught off guard in the future. Let’s continue our claims scenario to illustrate the importance of knowing your policy’s exclusions of coverage. Newark Ohio Tow Truck Insurance – Coverage Scenario. Jeff Johannson, known around town for having won a hefty sum of money from a questionable lawsuit a few years back, is attempting to go to court once again. He and his wife were injured while Jeff was on the job as a tow truck driver, and Jeff sees an opportunity to score another big settlement from the situation. When last we left Jeff, he had just filed a lawsuit against his employer, Walter’s Repair and Tow. To save money up front, he also decided to file Pro Se, meaning he will be representing himself instead of hiring a lawyer. Not long after filing the suit, Jeff gets a phone call from the attorneys representing Walter’s insurance company. They tell Jeff that he simply has no grounds for a case, and that if he doesn’t drop the lawsuit then the attorneys will petition the judge for a Declaratory Judgment. What is a Declaratory Judgment? In next week’s final post we will consider the answer to that question and learn whether or not Jeff has any recourse for the injuries he and his wife sustained. 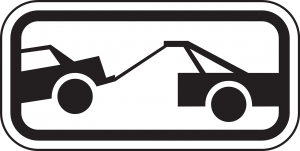 Newark Ohio Tow Truck Insurance – Call Us Today! Do you have questions about exclusions in your own policy? Call the experienced agents at Pathway Insurance today for answers to your questions about Ohio Tow Truck Insurance. You can reach us at 1-800-998-0662 Monday through Friday 9:00 AM to 5:30 PM (PST). We will shop the market for you to find the best coverage options on Tow Truck Insurance in Newark.